78-261 Manukai St, Kailua-Kona, HI 96740 (MLS #616167) :: Aloha Kona Realty, Inc. 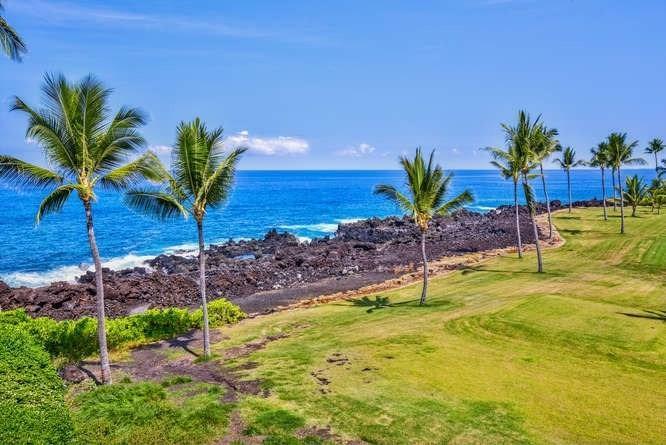 This upscale Kanaloa Penthouse shows the perfect balance with frontage on the Keauhou Golf Course and ocean views and scenic vistas along the Kona Coast through to Kona town. 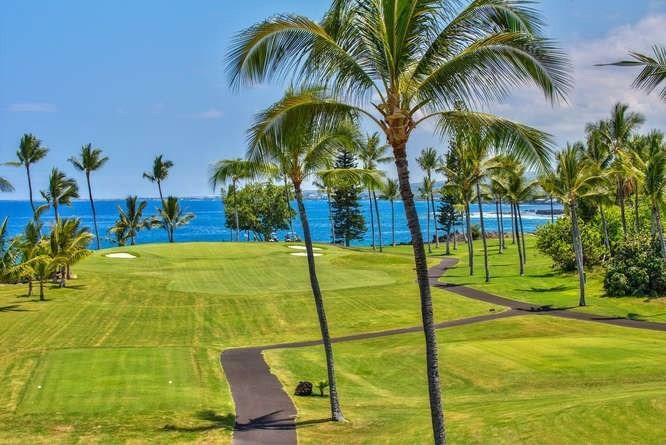 Kanaloa is located near Keauhou Bay with year around outdoor recreation activities & water sports. Kanaloa sits among beautiful tropical landscaping on 16 acres, 3 Swimming Pools, & 2-tennis courts. Beautifully remodeled, includes a turnkey furnished 2 bedroom and 2 bath penthouse, loft-style master suite. Central AC, total of 3-lanais, covered carport with outdoor storage locker. Kanaloa's pristine maintenance and attention to details, keeps Kanaloa an outstanding destination and home for many. Quality is important to owners at Kanaloa Homeowners Association and always has been a priority over the years. Vacation Rentals are welcome at Kanaloa. 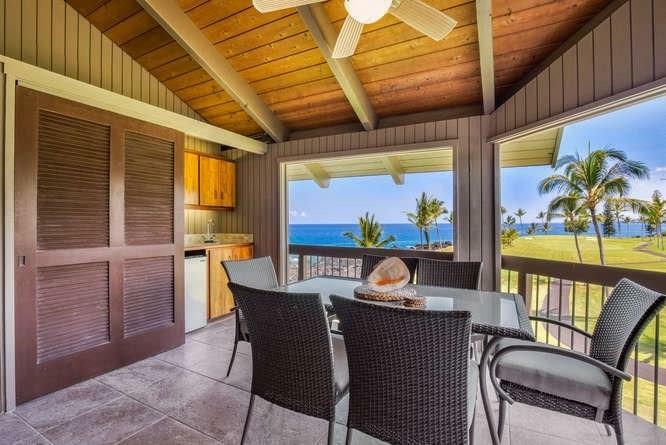 This Penthouse unit is with Outrigger Resorts and a very well requested Penthouse. In 2016 this unit was remodeled and included new paint, tiled floors, carpet, AC, granite counter tops, appliances including washer and dryer, remodeled master bathroom. 2016 new furnishings, wood stairway and railings. 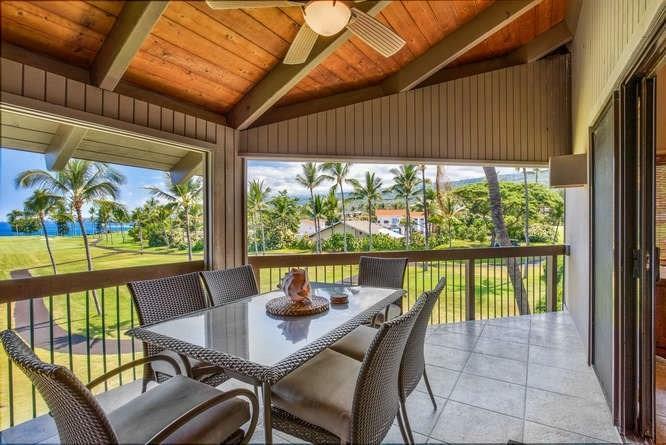 Listing courtesy of Kona Coast Realty Corporation.